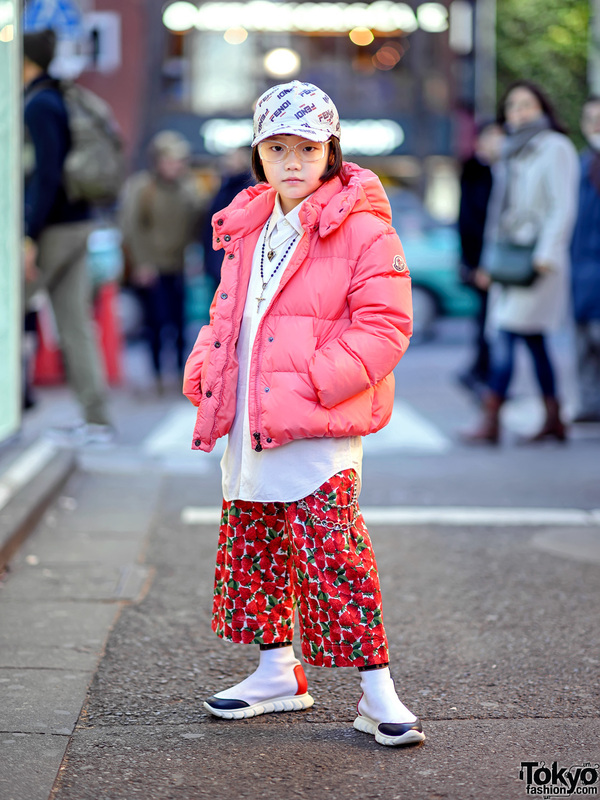 Harajuku style icon Coco wearing a mix of vintage and new fashion including a charity-supporting Moncler for Unicef jacket. 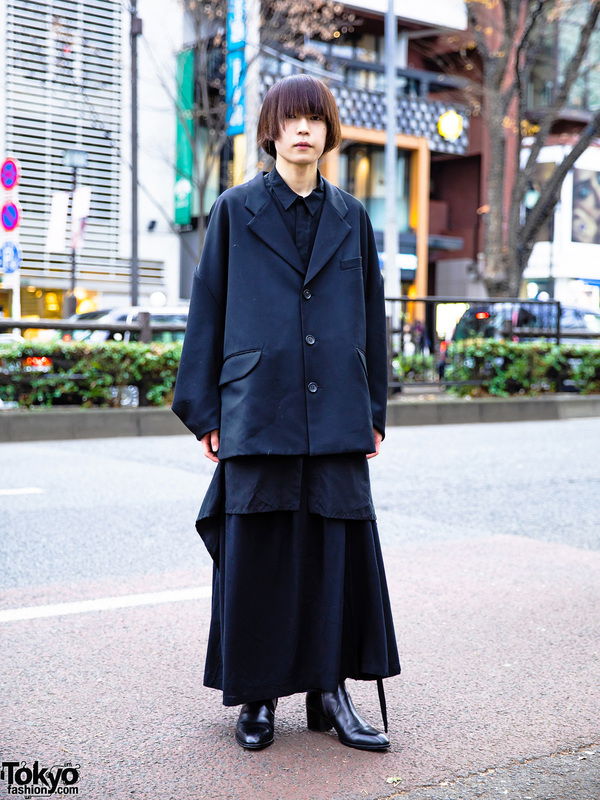 Harajuku model and musician in a sleek menswear street style while out and about on the street one evening. 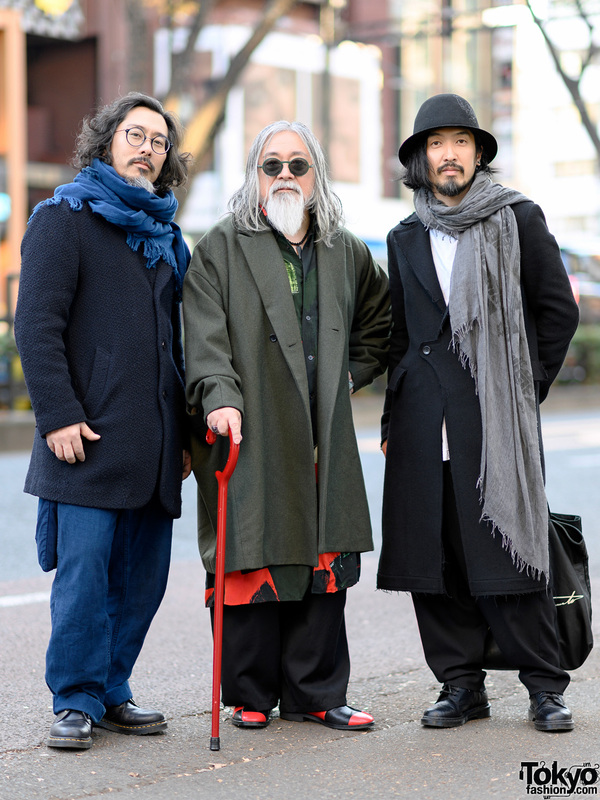 Harajuku guys sporting minimalist ensembles with long shirt, drawstring skirt, geta sandals, distressed tee, brown pants and leather slides. 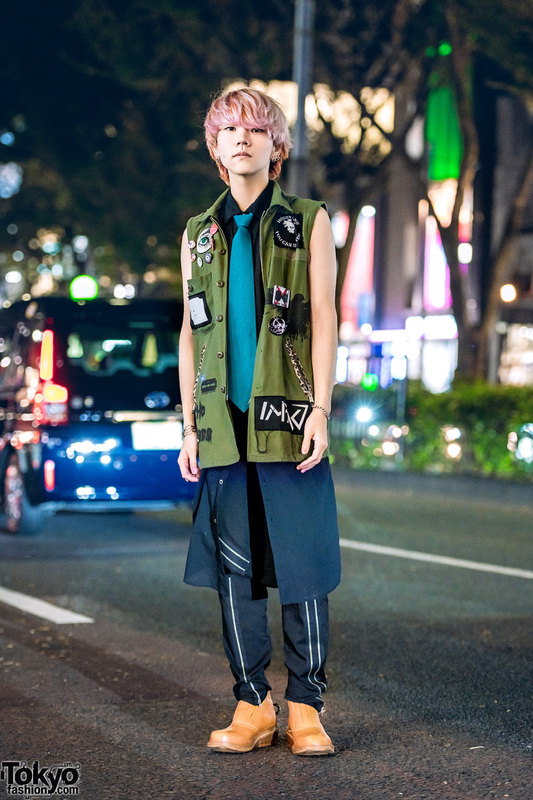 Harajuku guy wearing mixed prints style with checkered shirt, musical notes pants, and black boots. 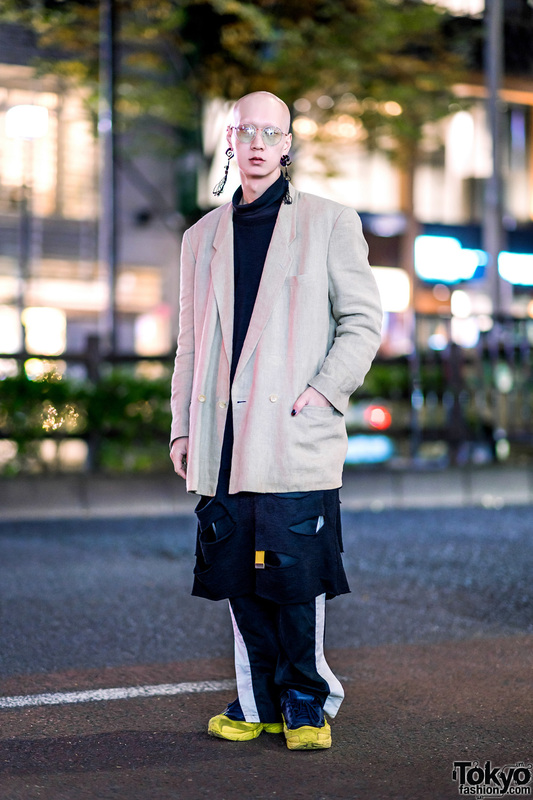 Blond-haired Harajuku guy wearing a Vivienne Westwood shirt and vintage plaid pants.